SuperDroid Robots makes the most durable and dependable tactical robots that could easily be an asset to any law enforcement agency or fire/rescue department. What can our robots do? Check out the list below. 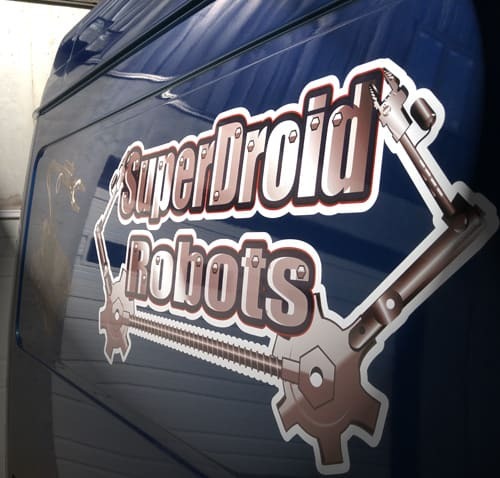 SuperDroid Robots Engineers will be in Perry Georgia for the second annual OCR2018 (Operation Convergent Response) live demonstration event. Attendees will see new technologies in use in emergency crisis situations. The SDR Mobile Support Vehicle is ready to roll! SuperDroid Robots will demonstrate the functionality and capabilities of our tactical robots so your organization can see what all they can do for you. Our SuperDroid Robots expert will also be on hand to answer any questions you may have about any of our robots. If you want to schedule a demo for your agency, then there are a couple of ways to set it up. You can call, email or use the contact form on our site. Our shop is located in Fuquay-Varina, North Carolina, and we are SO excited to come visit you as we make our way across the South East to The Florida Panhandle! Make sure to CONTACT US SOON to set up a demonstration of our tactical robots at your agency. Check out the videos below to see some of our amazing robots in action.